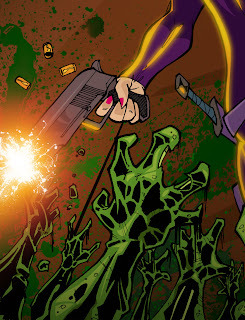 Sadhaka Studio: The Fearless Zombie Hunters pin-up by Felipe Torres sneak peek. The Fearless Zombie Hunters pin-up by Felipe Torres sneak peek. A little peek at Felipe's contribution to the Sadhaka Studio pin-up book, coming out July 2011.